The CryoPro Flask is robust in design and construction, providing a reliable tool for your surgery. It builds in safety features like a relief valve and a precision trigger for ease of use. The CryoFlask is available in both 350 and 500 ml capacity. Included with each flask is a set of 6-tips and probes. The CryoFlask is covered by a 3-year warranty. As the leading European supplier of liquid nitrogen cryosurgical equipment Cortex Technology offers a complete range of treatment units, accessories and storage tanks. Combining their extensive experience with the most up-to-date design features they proudly present the CryoPro series of cryosurgical treatment units providing outstanding performance in terms of safety, ease of operation and reliability. 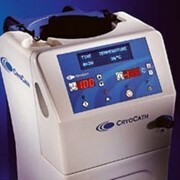 Further, the CryoPro offers full compatibility with other popular liquid nitrogen units, i.e. 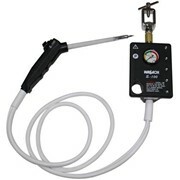 spray apertures and contact probes for other systems may be used with the CryoPro units as well. Simplicity, high cure rate and reliability are keywords for liquid nitrogen cryosurgery as well established and preferred treatment for various skin lesions. 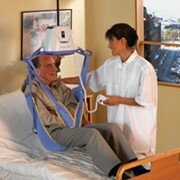 The treatment is associated with minimal pain, and non or minimal anesthesia is needed. In cryosurgery a number of other coolants such as nitrous oxide, carbon dioxide and dimethyl ether / propane are used. 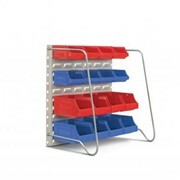 However, these coolants do not reach temperatures below minus 90ºC and can only be used for contact freezing. 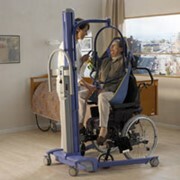 Further, some are environmentally unfriendly and introduce safety hazards. Liquid nitrogen provides superior efficacy at minus 196ºC and offers both spray and contact freezing. Also, liquid nitrogen is safe, friendly to the environment, and readily available from gas suppliers. The low temperature, the variety of accessories and the high cure rate combined with excellent cosmetic results and ease of operation makes CryoPro liquid nitrogen cryosurgery the most versatile cryosurgical treatment available at a very low cost per treatment. 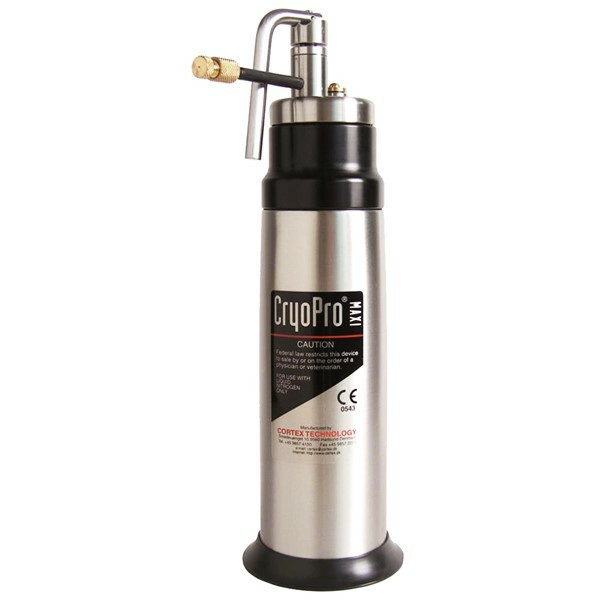 The CryoPro is available in two sizes: CryoPro Maxi with 500ml capacity (20-24 hrs. 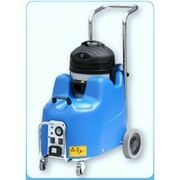 static holding time) and CryoPro Mini offering a 350ml capacity (12 – 14 hrs. static holding time). 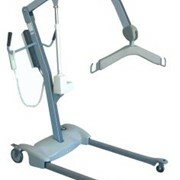 Each unit comes with a set of spray applicators for most common lesions (e.g. warts, small tumors etc.). 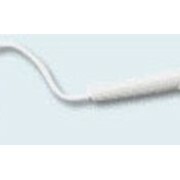 Optionally, contact probes are available in various sizes. These probes are particularly useful to control the lateral spread of the freeze (e.g. near the eye of in the oral cavity). Contact probes are selected to fit the actual lesion, and they offer a deep freeze with minimal lateral spread. Cryosurgery using liquid nitrogen is the treatment of choice or an alternate method of treatment for many skin lesions including: verruca, basal cell carcinoma, actinic keratosis, lentigo, naevus to mention a few.